We would like to say a big THANK YOU to Don’t Forget to Feed Me for spotlighting AHAH in their monthly newsletter. 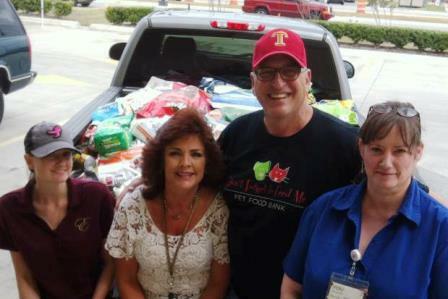 Dr. Jimmy, Dr. Billy, Dr. Boss and the entire staff find such great joy in helping out a wonderful cause such as DF2FM! Thank you to all of our PAWSOME clients for helping us help those in need feed their beloved fur babies. AHAH CLIENTS ARE TRULY THE BEST!